In response to complaints regarding price, quality of service, and transparency, the Brazilian National Association of Transport Operators (NTU) helped uncover the keys to improved bus service in Brazilian cities. Photo by Mariana Gil/EMBARQ Brazil. Increased bus fares are a greater concern to Brazilian citizens than increased electricity, water or telephone bills. This fact and others come from a recent study presented at the Brazilian National Association of Transport Operators (NTU) 2014 National Seminar on Urban Public Transportation. 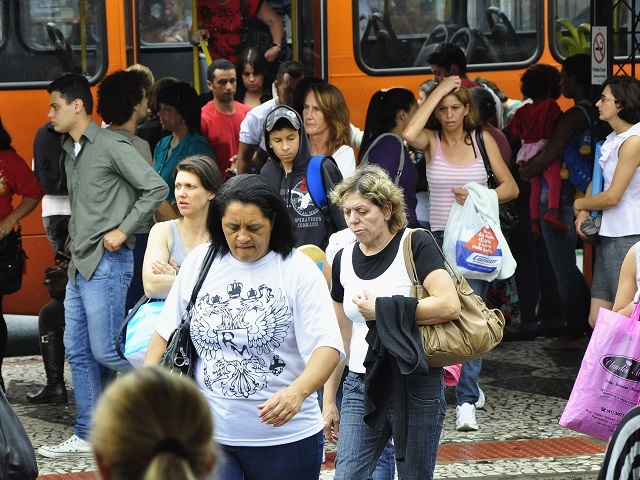 The NTU surveyed 91 representatives from the transport sector, including opinion leaders, policymakers, entrepreneurs, journalists, technical experts, academics, parliamentarians, and members of city governments in order to help policymakers respond to strong social demand for improved public transport among Brazilian citizens. Respondents’ proposed a number of potential policy changes focused on three areas of frustration for Brazilians citizens: price, quality of service, and transparency. “Not for 20 cents.” This statement defined a wave of protests in 2013 triggered by an R$ 20 cents (USD 9 cents) increase in Porto Alegre’s bus fare. Though the protests focused broadly on social rights, increased spending on bus transport was of particular concern. According to the respondents, this concern is justified for two main reasons. First, 56.8% of respondents believe it to be justified because bus fares are a daily – not monthly – expenditure for many Brazilians. Second, 24.8% of respondents believe Brazilian’s concerns to be justified because public transport is considered the most relevant public service for society at large. A plurality of respondents (39.6%) support a tax focused mainly on wealthier citizens as an alternative to raising bus fares. Another 23.1% of respondents believe the federal government should fully subsidize bus fares, while 18.7% of respondents believe the fares should be subsidized based on users’ income level. Finally, 8.8% of respondents support a uniform fare for all users. Most respondents also favor raising revenue from other forms of transport in order to support public transport: 92.3% of respondents favor parking fees, 85% support a gas tax, 85.9% support congestion pricing in central areas, and 51% support increasing property taxes on more expensive properties. High quality of service is crucial to making bus transport a viable alternative to private cars. According to the survey respondents, the most important features of high quality bus systems are predictable schedules (78.8%), minimal time spent waiting at stops and traveling (72.5%), and safety in buses, terminals and stations (57.1%). Also emphasized were adequate user information as well as cleanliness and lighting (53.8% and 50% respectively). Investing in dedicated bus lanes and high capacity transport systems such as bus rapid transit (BRT) can also drastically improve quality of service. A seminar panel that included EMBARQ Brasil’s Toni Lindau examined many of the factors that impact the quality of BRT systems. Brazilian citizens demand better access to transport information. Among survey respondents, 75.8% believe open information and data about services to be a main concern for citizens, followed by regulation and oversight of transport operators (69.2%), financial transparency from the city and operators (57.1% and 38.5% respectively), and accountability to public concerns (37.4%). This survey reinforces the need for bus systems to have priority on urban roads, efficient operations, and transparent data. It is crucial that policymakers understand and respond to users’ demands in order to ensure that bus systems provide a sustainable form of mobility, and that they give citizens access to health, education, leisure, and employment opportunities. This article was originally published in Portuguese in TheCityFix Brasil.